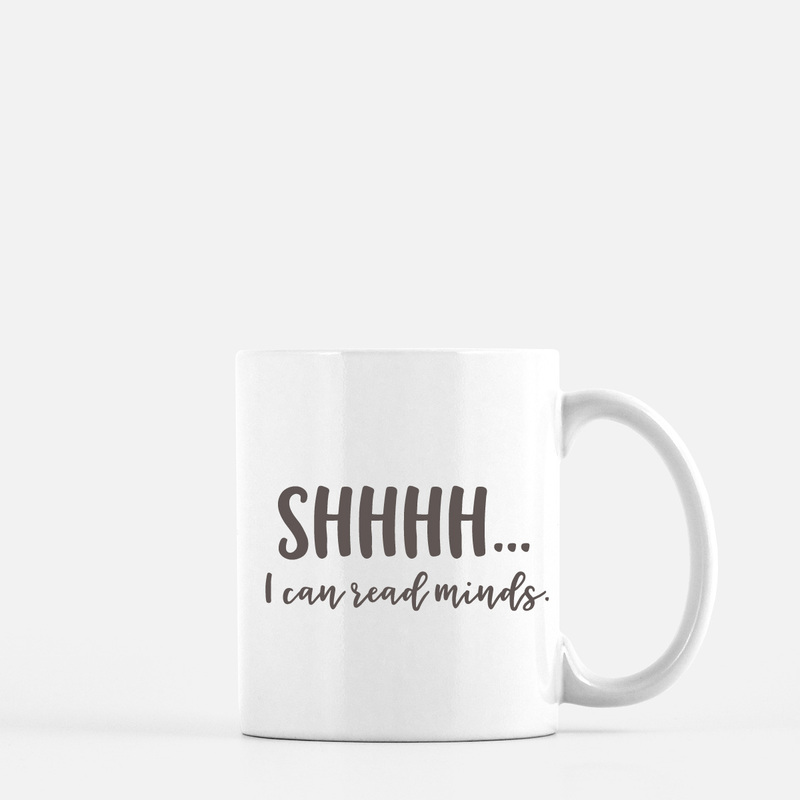 Home > Cups, Mugs & Napkins > Mugs > Shhhh...I Can Read Minds. This funny 11 oz. 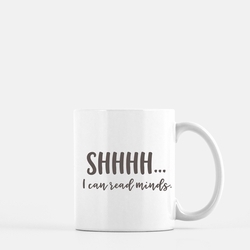 white ceramic mug is a perfect gift for yourself or anyone who isn't a morning person. Grab one and take it to your next meeting.